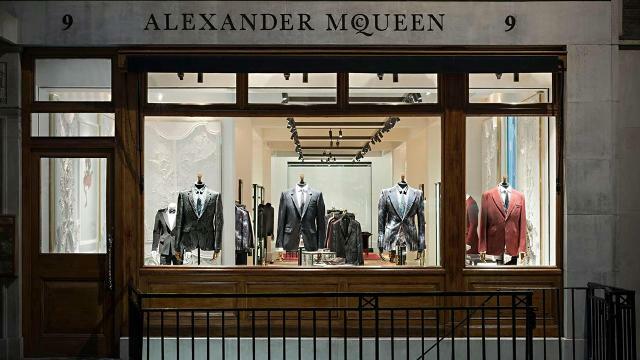 For the first time in the Alexander McQueen label's history, this store stocks the full mainline menswear collection in one place, from ready-to-wear suiting to accessories (with diffusion line McQ available at the nearby store on Dover Street). There's also an area downstairs for bespoke tailoring. Look out for the brand's iconography throughout the store: faded British grandeur, nods to nature, and military motifs. There are claws, skulls and even a clothes raill in the shape of a skeletal vertebrae. Is Alexander McQueen your business?